The evening will begin at 7:00 p.m. with old time and Cajun music in the lobby, and will shift to the Freight stage at 8:00 p.m. with a string quartet featuring some of Sue’s colleagues from the classical music world. From there, the show will feature many wonderful musicians who played with Sue over the years. 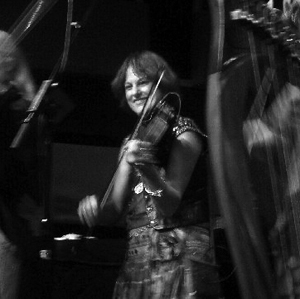 Sue’s musical career began in the late 1960s with Dr. Humbead’s New Tranquility String Band and Medicine Show, and went on to encompass work with John Renbourn, the Albion Band, Any Old Time String Band, Golden Bough, Tempest, and Caliban. Sue also performed with several regional orchestras, the Western Opera Theater, and the long-running light opera company, the Lamplighters. Since moving to Kentucky, Sue has been playing for contra dances.